A large number of travelers opt to rent a car when they travel abroad. Renting a car when traveling abroad offers so many wonderful benefits, including being able to enjoy your own freedom, having the luxury to be independent, see whatever you would like, whenever you would like, at whatever speed you would like. You do not have to rely on tour groups or public transportation. Additionally, it can end up being cheaper if your plan is to see the entire area during your visit. There are numerous crucial factors to consider when you are making use of renting a car abroad. The number one step that is important is to thoroughly read the car rental rental contract. It is important to know exactly what is being provided by the car rental company and what is necessary for you to provide. The paperwork must be safeguarded in a secure place, which will protect you in case something goes wrong. Pay extra attention to any miscellaneous charges that you may incur. This is a crucial step in the process, because many people who travel do not realize that when renting a car they will be charged for every mile. Or they may be charged for insurance fees. Make sure that the cost that you see on your receipt is the price that you end up paying. Always double-check that the insurance is a part of the price. There may be a fee that you have to pay if an accident occurs. The number one step when renting a car is to make sure that the price that is shown online is the cost that you end up paying. There are a large number of car rental companies all around the globe, so there are companies out there that’ll hit you will extra charges out of the blue. Prior to booking the car, confirm the final cost, and inquire about extra charges that are important to be aware of. This way, you’ll be protected. Be very mindful of the type of vehicle that you rent. If there will only be two passengers, it is pointless to rent a large SUV. This is only necessary if you intend to drive on a lot of gravel roads or do some off-road driving. Pick a car based on your needs. Obviously, a vehicle that is smaller is going to use up less fuel, which could possibly reduce the price of your car rental dramatically. Always check if the rental car is given to you with gas in the tank. Some rental car companies will give you the car with a tank that is full or half full. This is given on the promise that it will be returned to them with the same amount of fuel. Make sure that you are not charged for every mile once you hit a certain mile threshold. 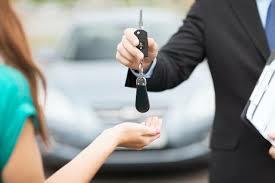 Preferably, you should pick a vehicle rental service where unlimited miles can be enjoyed at a certain daily rate. It is also advantageous to check to see how to extend the vehicle rental agreement in the event that you choose to stay on your trip for more days than originally planned. You should also find out what charges you will incur if you decide to return the car sooner than expected. It is always smart to see if additional drivers can be added to the rental agreement.